1. Advanced micro controller based user friendly state-of-the-art product design with alphanumeric splash waterproof polyester soft keys for keyboard. User interactive software in dialog mode for ease of operation with protection against invalid entries. 2. Alphanumeric entries of Sample Name, Sample Number, Identification Number and Date for authentication. Also same on report printouts makes system foolproof and GLP complaint. 3. Non volatile memory storage of 20 programs with parameters. 4. Last run result can be viewed or printed. 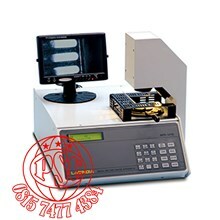 Melting point is automatically detected by photo sensing and the temperature is locked & displayed as per pharmacopoeia. 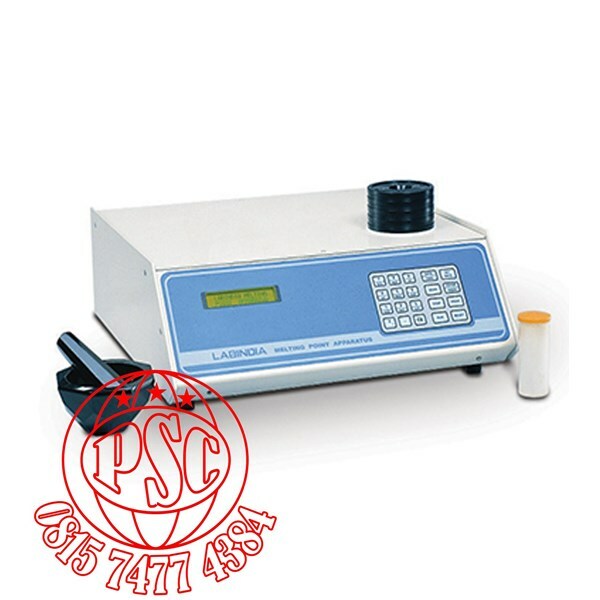 Melting point is automatically detected by photo sensing and the temperature is locked & temperature is displayed by giving correction for heating rate-Thermodynamic evaluation. 1. Intelligent Lamp & Cooling fan Control for longer operating life. 2. Selectable Report Format : complying with GLP requirements. Report giving parameter and result of last run. Report of program parameter for 20 programs. 1. Error indication helps user to trace the problems. 2. Melting RUN can be started with last run parameters. 3. Precise temperature control for repeatable results. No detection of melting, 15° C above the expected M. P.
Specially designed Capillary Eject Mechanism for easy removal of broken capillary. PC Compatibility - PC Software ( optional ).